Gestalte, graphic design agency, occupies the Empire room during the summer invasion of the 019 collective with Collect & Show, a book and installation that both provide an insight into the work of the designers. The workshops of Gestalte are a laboratory for formal research. In this environment, inspiration and creation come together. The presence of objects in their work environment and in the museum’s collection is the shared narrative. Everyday objects are linked to pieces from the museum collection. Those links are not grounded in an historical context but based on an intuitive choice. The many visits to the museum depot resulted in astonishment and moreover in a feeling of recognition. Prototypes and models reflect the same search for the right kind of form and application that designers go through in their work process. Colour and materiality express emotions and aspirations, tools that designers also use in the process towards a publication. The book shows the museum’s collection items in relation to the workshops of Gestalte and their work of the past 20 years. In addition to this imagery, Paul Vermeulen, architect and essayist, writes a text about the triviality of a masterpiece, about finding ‘things’ and the need to collect. 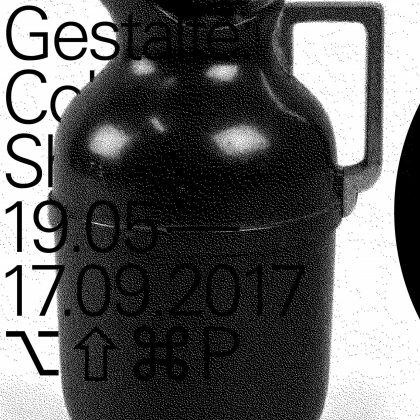 Publication and installation are part of Gestalte’s nomination for the Provincial Award for Design East-Flanders 2016.